Welcome to the seventh edition of the SocialSign.in Spotlight, a blog series featuring members of our network and what makes them special. Today, we’re focusing on a place that feels like a staple of the NYC scene despite opening just six years ago. It’s a West Village venue that’s recognizable and familiar from the outside and impossible to forgot once you’ve been inside. That venue is (Le) Poisson Rouge on 158 Bleecker Street. Justin Kantor and David Handler are life long musicians and graduates from the Manhattan School of Music. In 2008, after growing tired by the state of nightlife and live music in New York, the duo decided to take control of the situation and change it first hand. That involved restoring the 158 Bleecker address to its former glory. For 35 years at the address, The Village Gate housed live music and performances by Aretha Franklin, Duke Ellington, John Coltrane and Miles Davis…then it closed in 1993. In opening LPR, they hoped to keep the spirit of The Village Gate alive while making it easier for young people to discover new music and experience something they’ve never heard before. Here is how they’re accomplishing that goal at New York City’s first multimedia art cabaret. Inside (Le) Poisson Rouge you’ll find a state-of-the-art space for performing engineered by the Walters-Storyk Design Group. You may not have heard of the architectural firm before, but they’ve won the TEC Award for outstanding achievement in Acoustics/Facility Design SEVEN times. The group has also designed the acoustics and technology integration for Jazz at Lincoln Center and Roc the Mic, a recording studio owned by Jay Z. When you hear music live at LPR for the first time, you’ll feel it too. To compliment their design, they installed Meyer Sound speakers, including the Galileo loudspeaker management system for optimal sound and performance based on the artist on stage. The space itself has standing room for 700 people or can seat 250 people for more formal performances and events. Adjacent to the main space is a soundproof Gallery Bar that fits 138 people, featuring a rotating selection of curated art and exhibits. The New York Times calls it the “coolest place to hear contemporary music” and in 2013, Time Out magazine gave (Le) Poisson Rouge its Readers’ Choice award for Best Live Music Venue in New York. On a hot summer night in August 2013, an up and coming 16 year old singer from New Zealand performed live for the first time on American soil. It was a sold out show at (Le) Poisson Rouge. 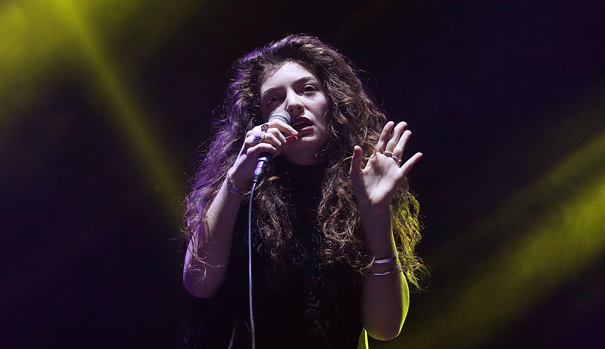 That artist was Lorde and since that night she’s sold over one million albums and been nominated for a Grammy. Other notable past performers include Paul Simon, Spoon, Iggy Pop and The Stooges, Matt and Kim, Norah Jones, Cut Copy and Lady Gaga. With live performances almost every night of the week at LPR, you may be the first of your friends to hear a future iTunes chart topper. In the next month alone, their calendar of events will include classical, folk, indie rock, pop, post-punk, deep house, blues, reggae, samba, electronic, afro-latin, funk and alternative music. 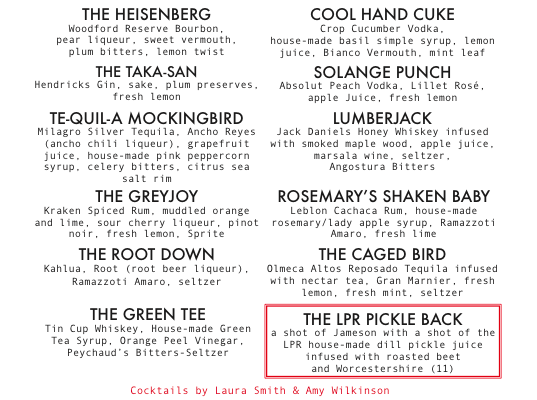 The motto at LPR is “serving art and alcohol” and it’s one they don’t take lightly. We’ve covered the former and we think it’s time to focus your attention on the latter. The cocktail menu reads like a pop culture greatest hits collection. It’s crafted by two mixologists with 20+ years of experience making drinks and a track record that proves they can mix up a libation for any occasion. If that’s not your style, don’t worry, the beer and wine list is expansive without being too expensive. 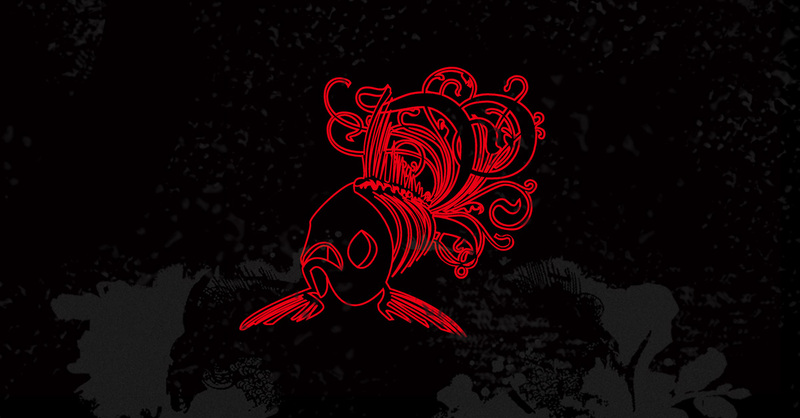 So next time you’re ready to have a really fun night out in New York, consider going to (Le) Poisson Rouge. We hope that you’ll wake up the morning after with an awesome memory or new favorite song, but just in case, use their free WiFi to upload a picture to your favorite social network and tag the moment with #LiveAtLPR. If you don’t know how to get there, click the map below for directions. Thanks for reading the SocialSign.in Spotlight. To learn more about some of the businesses and venues that are part of our growing network of WiFi hotspots around the globe, click here. If you own a business and want to start using WiFi as a marketing channel, contact us today and we’ll teach you how our solution works. The NHL Original 6 have been entertaining and engaging fans for a long time. This is your hockey history lesson.